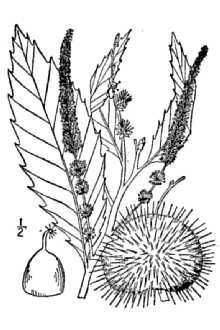 Botanical name: Castanea dentata (Marsh.) Borkh. Misc. 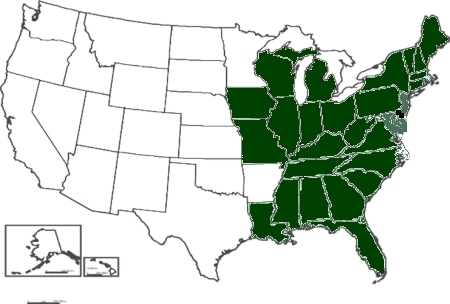 During the 1900s, chestnut blight struck most of the American chestnuts and few survived. 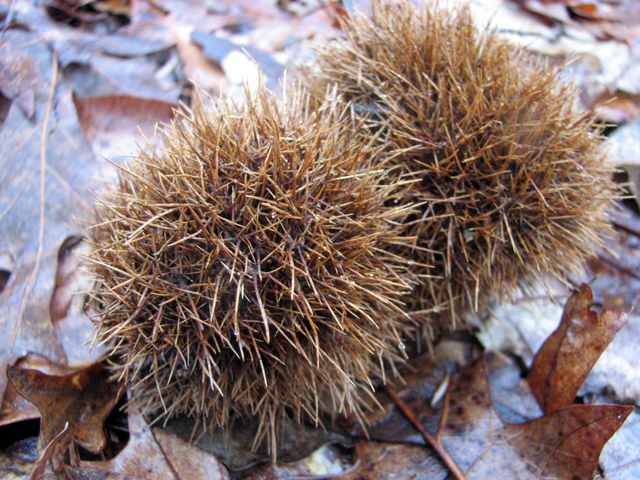 Most of what is seen now is planted Chinese Chestnut, which is blight resistant. 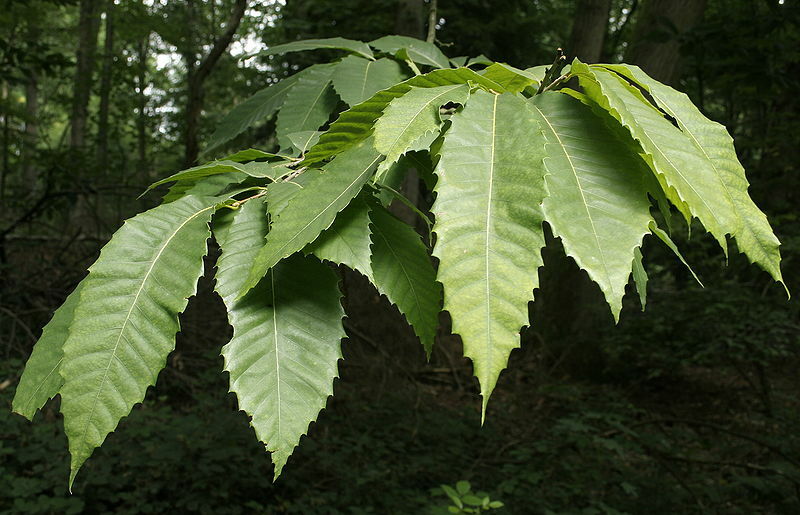 The United States National Arboretum has been working to backcross American chestnut with the Chinese strain to create a disease resistant strain with American characteristics.